MARUTI Suzuki India (MSI) on Friday said its compact car Celerio sold 1,03,734 units in 2018-19, joining the club of company’s models with sales of more than one lakh units in a year. The model has cumulatively sold 4.7 lakh units since its launch in 2014, MSI said in a statement. The sales of the model grew by 10 per cent in 2018-19, it added. Celerio was “the first car to democratise the two-pedal (auto gear shift) technology and the recent upgrade in its safety features has significantly enhanced its appeal as the perfect city car,” MSI Senior Executive Director - Marketing & Sales, R S Kalsi said. Celerio’s 1-litre petrol engine delivers a fuel efficiency of 23.1 km/ltr for both Auto Gear Shift (AGS) and the manual transmission variants. 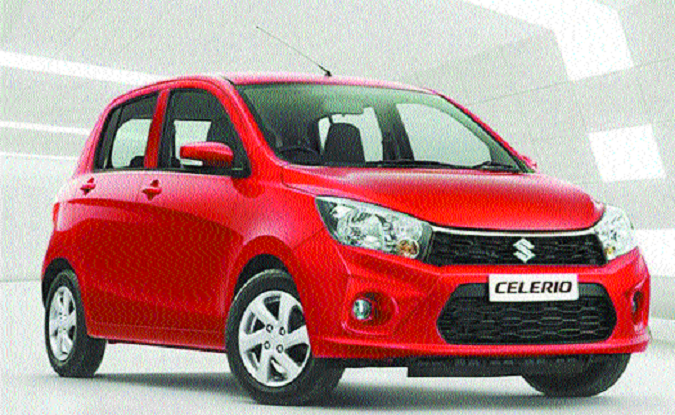 The factory-fitted CNG Celerio offers a fuel-efficiency of 31.76 km/kg, MSI said.